The 2019 Miss Caribou Scholarship Pageant and Little Miss Caribou Pageant are coming to the Caribou Performing Arts Center at 7 p.m. this Saturday, March 23. CARIBOU, Maine — The 2019 Miss Caribou Scholarship Pageant and Little Miss Caribou Pageant are coming to the Caribou Performing Arts Center at 7 p.m. this Saturday, March 23. 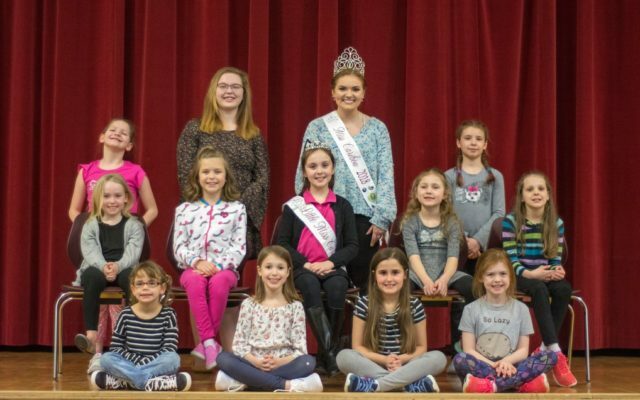 The pageants will feature one Miss Caribou contestant and ten Little Miss contestants, which organizers say is a higher than average number for the event. 2018 Miss Caribou Makenzie Conroy and 2018 Little Miss Caribou Vivian Bell also are going to perform during the event, which is sponsored by the Lister-Knowlton Post 9389 VFW Auxiliary under the direction of Cheryl Bossie. All proceeds from the event will benefit the Jefferson Cary Cancer Center. Grace Gallagher, 18, will be in the running for the Miss Caribou title and performing a sign language interpretation of the song, “This is Me.” This competition is open to high school juniors and seniors. Little Miss Caribou contestants, who are in first through third grade, are Sadie Hunter, Elyza Landeen, Emily Zell, Mallory Maynard, Lillie Michaud, Annabelle Smith, Isabella Robbins, Marleia Stevens, Taylor Griffeth, and Addy Deschesne. The girls are planning a diversity of performances, including contemporary dance, tap dancing, a monologue, a Celtic dance, and songs. Bossie and her daughters Nicole DiVito and Meagan Bossie, along with several community volunteers, have spent weeks working to organize the upcoming show. DiVito said Friday that she was excited about the large “Little Miss” turnout. Conroy, who was crowned Miss Caribou last year, also said she is looking forward to the event. Tickets for the pageant are $8 each and can be purchased in advance from contestants or at the door on the night of the pageant.